Mobile Motor Factor, the car parts and engine parts delivery company located in Athlone, is the number one agent in the Midlands for UFI Filters. UFI Filters supplies top-of-the-range filtration systems to the automotive market. The company is the number one choice of some of the largest automotive manufacturing groups in the world, including BMW, Fiat Group, Ford Group, GM Group, Hyundai-KIA, Mercedes-Benz, PSA, Renault-Nissan, Volkswagen Group, and many others in Europe, the United States, China, India, Japan, and Korea. 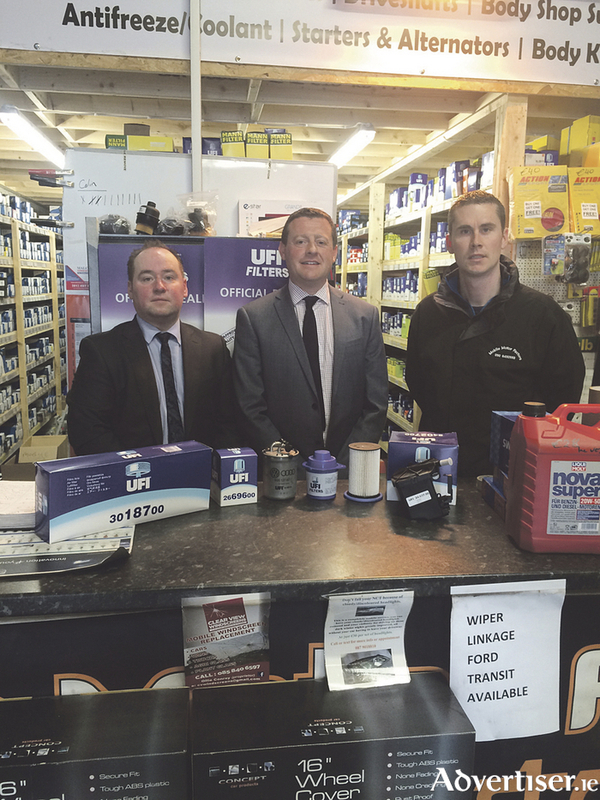 Call in to Mobile Motor Factor on the Roscommon Road to see the great variety of UFI filters in stock. These include oil filters, diesel filters, fuel filters, air filters, LPG and methane filters, VGT filters for industrial vehicles, and drying filters, all at really competitive prices. UFI Filters pursues the ‘total quality’ philosophy in all stages of filter design and production, meaning customers can be assured they are receiving the very highest standard of goods. Mobile Motor Factor has four delivery vans and one scooter on the road seven days a week, 365 days a year, delivering high quality car and engine parts for all makes and models of vehicles to your home, place of work, or a location that is convenient for you. The business also operates an after hours callout service. The business stocks all common car spare parts for all makes of cars and light commercial vehicles. These include batteries, clutches, sensors, drive shafts, starters, engine components, timing belts, shocks, coil springs, steering racks, ball joints, bearings, exhausts, fly wheels, body kits, brake pads, and spark plugs. Also in stock are a large range of care products and car accessories. For more information contact Declan, Sean, or Robert of Mobile Motor Factor on (090 ) 6492658/(090 ) 6493542. Alternatively, email [email protected]. To avail of the after hours callout service phone (085 ) 7583555. Visit the business’s Facebook page with any queries.